There are some airlines which fly from Atlanta to Johannesburg but not to Cape Town. 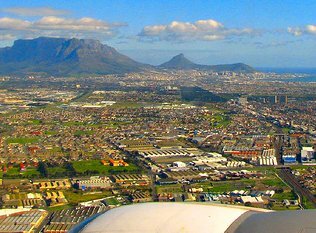 To ensure you get the cheapest ticket, check whether a combination of a flight from Atlanta to Johannesburg and the cheapest flight from Johannesburg to Cape Town doesn't result in a cheaper price. From June 2008 Delta has been operating thrice-weekly non-stop flights from Atlanta to Cape Town, on a 767-300ER.